Follow in the Footsteps? Just walk beside me and be my friend. Below is a summary of some key infomation for students who wish to become Campus Residents in the academic year 2019-2020. For more detailed information please click on On Campus Student Residences to the left of this column and choose your student category. For the purposes of Planning your Budget there is a booking fee of €500 payable on the day of booking online and the first semester's accommodation fees are due in full a) for continuing students by 31 July 2019 and b) for First Years CAO students, International Students and Postgraduate Students by the due date in your booking confirmation email - please check it out once you have booked. Occupancy will commence no earlier than 15 September 2019 for semester 1 and occupancy will end no later than 6 June 2020 for full year and second semester residents. Study Abroad please check with your home university co-ordinator for your booking date. ERASMUS booking will be on 5 June 2019. Full Degree (first year in Maynooth) undergraduate booking is on 7 June 2019. New to Maynooth Postraduate Students will book rooms on 13 August 2019. Cancellations: If you have booked a room or are living in a room but now wish to cancel it please use this CANCEL MY ROOM link to do so. Resident's Feedback Form: Please use this form if you wish to give us feedback about your experience while living in the Residences. This may be positive or negative or can be used to draw our attention to community issues. This form should not be used to report maintenance issues as there is a separate process for that. Seirbhís liostaithe den lóistín príobháideach atá ar fáil go háitiúil. Tá an liosta seo ar fáil ar ár suíomh maynoothstudentpad. Lóistín atá lonnaithe i Maigh Nuad agus sna háiteanna mórthimpeall ar an mbaile atá i gceist; Cill Choca, Cill Droichid, Léim an Bhradáin, Leamhcán, Ráth Chofaigh agus áiteanna atá i bhfoisceacht comaitéaracht réasúnta den Ollscoil. Ní dhéanaimid scagadh ar an réadmhaoin seo ar do shon, mar sin molaimid duit breathnú ar áiteanna sula n-íocann tú aon airgead astu. CONTINUING STUDENTS ROOM BOOKING IS at 23 APRIL at 10am GMT. Please do not click on the link to book until 10am GMT on 23 April 2019 as you may be disadvantaged if you do. 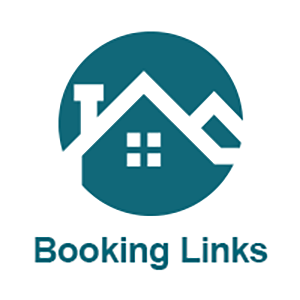 The booking form will go live automatially at the correct time and date. There are 54 Courtyard rooms and 15 Village rooms available to book and once these are booked those in the form and the queue will be notified. Please note that you will be asked to choose your own room and pay a booking fee of €500. No booking will occur until the full process is complete. If the site experiences high demand you may be notified at any time during the form filling (including the payment page) that all rooms are fully booked so we advise bookers to progress through the form at an even pace and only one person booking for each prospective resident. Please do not attempt to book if you are not eligible to book - see terms and conditions of booking and note that this booking is for eligible continuing students only.